My clients are completing their 2018 tax returns and it is a mixed bag. Many musicians who used to itemize their deductions, especially married couples, are now taking the standard deduction for the first time in decades. Some are seeing their taxes go down while others, myself included, are paying thousands more for 2018 than we did for 2017. Generally, if you had a significant amount of itemized deductions, many of those deductions were reduced or eliminated under the Tax Cuts and Jobs Act. This should be no surprise to my readers, because I’ve been warning you about this since November 2017 when the law was just being proposed in Congress. For musicians who are W-2 employees, the loss of Miscellaneous Itemized Deductions meant losing the ability to deduct your instruments, supplies, mileage, home office, union dues, concert clothes, and other expenses. What also came as a surprise to many musicians was that their employers significantly reduced their tax withholding from their paycheck. Payroll software has several weaknesses – it doesn’t know what deductions you may have or what other income you or your spouse earns. The software just sees a lower marginal tax rate and automatically withholds less. If your employer under-withheld, you can ask HR to reduce your exemptions to zero and if you are married, you can also ask them to withhold at the higher single rate. If your spouse earns a similar amount as you, withholding at the single rate is likely more accurate. How can you lower your tax bill for 2019? First, try to increase your 403(b) or 401(k) contributions, if you are eligible for a retirement plan through your employer. So many people are only contributing the amount that their company will match, often four to six percent. Others are contributing 10%, which is slightly better. But your goal should be to max out both your and your spouse’s 403(b) or 401(k) if you can. For 2019, that has been increased to $19,000, or if you are age 50 or over, $25,000. Build wealth, fund your retirement, become financially independent sooner, all while reducing your current tax bill. That’s why we try to max out our accounts every year. I suggested other ways to reduce your taxes last February, to give everyone a head start on their 2018 taxes. See: Reduce Your Taxes Without Itemizing. If you have both 1099 and W-2 Income and are wondering if you can just shift all your expenses to your Schedule C, the answer is no. If you have expenses and equipment which is used both for your 1099 and W-2 work, please read: What Should Free-lancers Do with Both W-2 and 1099 Income and Expenses. For musicians who are W-2 employees, many of you who used to take a home office deduction found that this was eliminated in 2018, to your great frustration. So today, I’d like to give an update on two ways to get a deduction for your other major expense, your car. First, if you are a self-employed musician, including a 1099 independent contractor, you might consider having a dedicated vehicle for your music business, especially if your work requires frequently driving to places other than your “primary office”. You have a choice of taking the IRS standard mileage rate (58 cents per mile for 2019) OR you can use your actual costs, including gas, repairs/maintenance, depreciation, insurance, etc. Since the standard rate is so much easier to calculate, most people use the standard rate. But, you are allowed to calculate both and use whichever is higher. If you are self-employed and your car is getting old, instead of getting a new car and using it for both personal and business miles, consider getting an SUV, Van, or Truck for your business and keeping your old car for personal use. If you have a business vehicle with a GVWR over 6000 pounds, and use it 100% for business, you may be able to deduct the full purchase price upfront as a Section 179 deduction. This saves you from having to depreciate the vehicle over time. Then, you should deduct all of your actual costs going forward. Under the new tax law, you can now use the section 179 deduction for used vehicles, in addition to new vehicles. 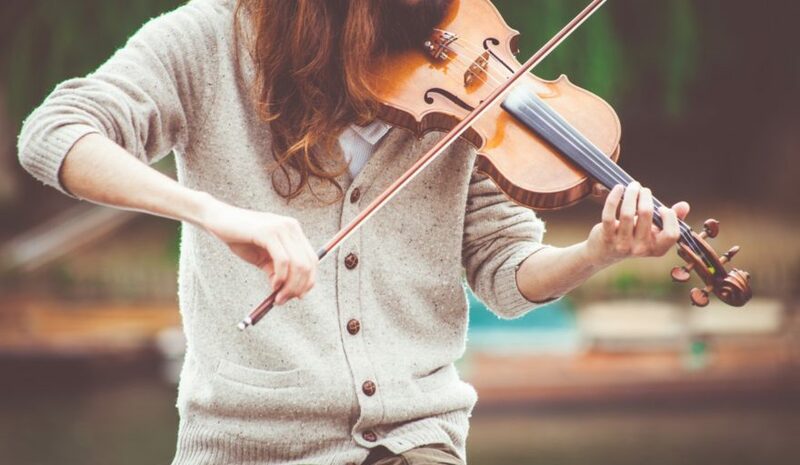 Read more: Bonus Depreciation for Self-Employed Musicians. If you aren’t self-employed but are in the market for a new vehicle, I wanted to give you an update on the $7,500 tax credit for electric and plug-in hybrid vehicles. A tax credit is not a deduction to your income, but a dollar for dollar reduction of your taxes owed. This credit can reduce your taxes to zero, but is non-refundable if your tax bill was less than $7,500 before the credit. The full $7,500 tax credit is available on the first 200,000 qualifying vehicles each manufacturer sells. The first two companies to exceed 200,000 vehicles are Tesla and General Motors. If you were hoping to get the full tax credit, I’d look at other companies. Depending on the size of the vehicle battery, some vehicles have a credit of less than $7,500. For complete details of eligible new models, see the IRS Website: Electric Drive Motor Vehicle Credit. For GM, the credit drops from $7,500 to $3,750 on April 1, then to $1,875 on October 1, and then to zero on April 1, 2020. Tesla hit the 200,000 vehicle mark one quarter earlier. The tax credit for a Tesla purchase is $3,750 right now, falling to $1,875 on July 1, 2019, and then to zero on January 1, 2020. The Tax Credit is only available on a brand new vehicle, however, used prices for electric vehicles usually reflect the $7,500 credit. So, if you wanted a Chevy Bolt or Volt, or a Tesla, you might want to look at used models now that the tax credit has been phased down. My goal is to help you keep more of your money so you can invest and grow your wealth. Although the new tax law simplified returns for many musicians, it did not cut taxes for everyone across the board. If you’re wondering if you’ve missed some ways to save on taxes for the year ahead, send me an email and we can discuss what we do for our clients to help.